Skyrocket junipers are a popular cultivar of the Rocky Mountain juniper due to their fast, narrow growth and resistance to most serious pests and diseases. They are however susceptible to some common pests of their needles and some rust and blight diseases. They can be prone to certain types of winter damage, if precautions are not taken. Junipers are related to cedars and, as such, can get some of the same diseases. 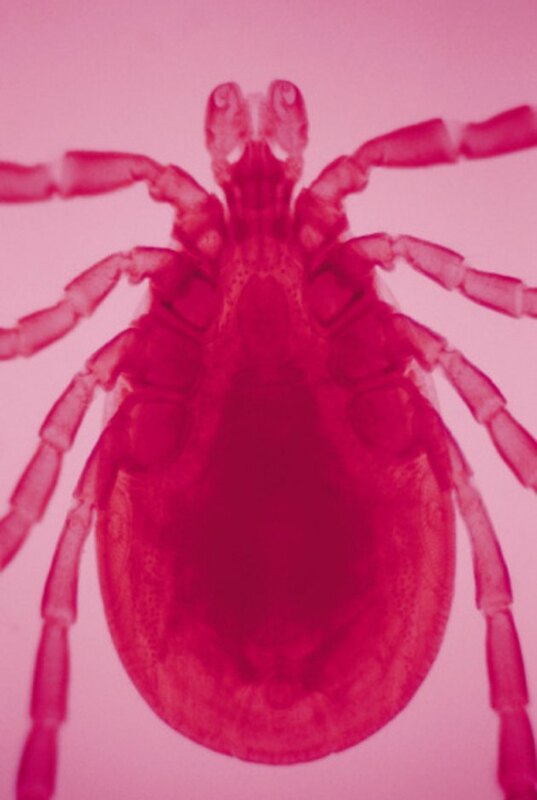 With their eight legs, mites are members of the spider family and are immune to insecticides. Common insect problems of skyrockets include bagworm caterpillars, juniper scale, juniper webworm and spider mites. Bagworm and webworm are best controlled by physical removal when noticed, as it is difficult to penetrate their protective coatings with insecticides. To treat scale, a systemic insecticide can be used during the growing season and a dormant oil can be used over the winter to kill the scale by smothering them. Mites need to be controlled with a miticide. 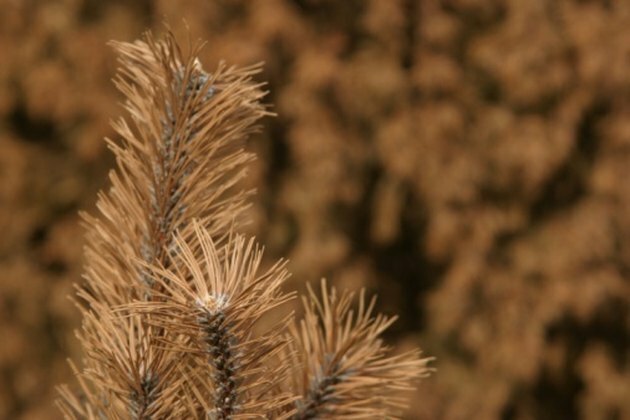 Dead needles are an indicator of a blight or dieback disease. Skyrocket juniper can get serve as an alternate host for rust diseases such as cedar-apple rust. Avoid planting skyrocket junipers or any juniper within 300 yards of any apple, crabapple or hawthorn tree. Rust diseases and needle blights can be common as well. A preventative spray of fungicides labeled for controlling needle diseases of evergreens can be sprayed preventatively upon the first flush of growth in the spring. Repeat applications can be made every 10 to 14 days throughout the growing season. Dessication can be prevented by constructing a wind fence or spraying with an anti-dessicant. Despite the skyrocket's general resistance to most serious pests, they have no resistance to some injury caused by winter winds and ice. Ice can coat the whole of a skyrocket and weigh it down. If heavy enough, branches or even the entire trunk can break. Branches coated with ice for many successive days can die as well even if not weighed down. Ice damage can be mitigated by tying or wrapping the entire skyrocket with a breathable material such as burlap for the winter. 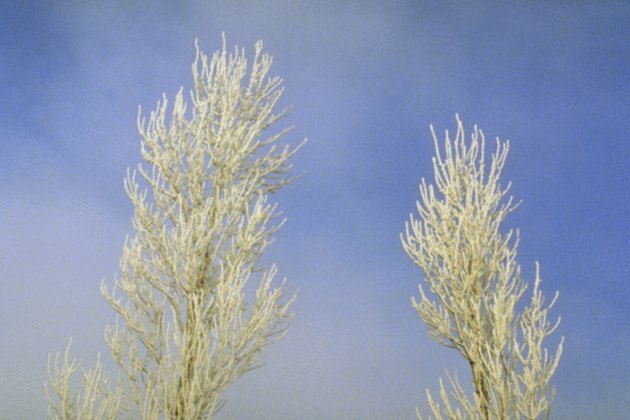 Excessive winter winds can dry out juniper foliage and cause dessication. A burlap screen for the winter can help to prevent this drying-out of the foliage. Junipers are tolerant of most light and soil conditions, but do not like too much water. 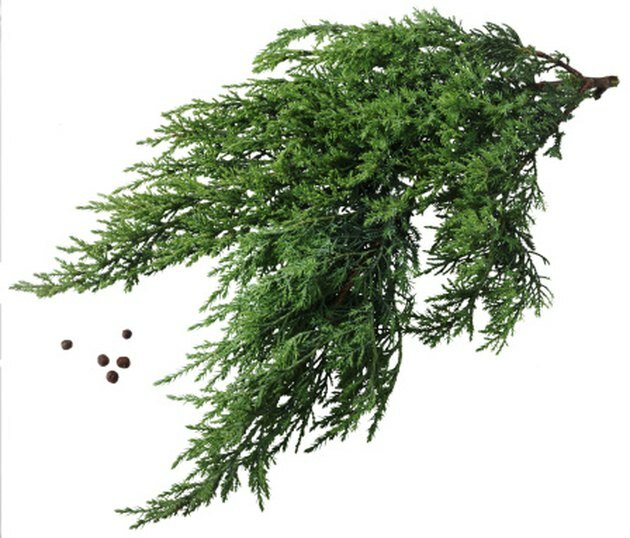 Many disease and insect problems can be avoided by ensuring that your skyrocket juniper is healthy and able to withstand the stress of pests and pathogens. Make sure that your skyrocket is planted in partial to full sun with a well-drained soil. An annual application of an all purpose tree and shrub fertilizer, or one specifically formulated for evergreens can help to keep the roots and foliage thriving especially for the first few years after initial establishment. Scout for pests and diseases often, and treat at the first sight of any problems. Why Are My Evergreen Trees Turning Brown? What Causes Dogwood Tree Leaves to Turn Brown?